Every nurse should have a blog. Whether you’re interested in starting a nurse blog to focus on the nursing lifestyle or as a compliment for a nurse-owned business, the WordPress content management system (CMS) allows you to build a beautiful website that is easy to update. What many people do not realize is that a blog is one of the best ways to share your point of view or a message for your business. A website with a blog is an excellent platform to build a personal brand which can allow you to earn income as well as advance your professional career. For example, if you run a home care business, you can write a blog post listing the attributes to look for in a good home care company then direct your visitors to a form to request more information about your services. There are literally hundreds of ways you can use a blog to improve your lifestyle. grow your income, and positively impact patient care. So let’s dive in so you can see exactly where to to. By following these three simple steps you will have the groundwork laid to start a great new nursing blog! If you already have the basics set up, then you’ll want to head over to the Blogging Tools page to level up your blogging game. However, if you haven’t gotten started, or perhaps are on another platform besides self-hosted WordPress, and are looking to get serious, keep reading. You’ll be set up and ready to go in no time. This is where the creative part really comes into play. What do you want your name to be? We went with Health Media Academy. Brittney went with The Nerdy Nurse and it conveys the focus of nursing and technology. Kati went with FreshRN, which makes it clear that her aim is to grow new nurses. Start by brainstorming what you want to convey with your name. Think about things you love, what you are excited about, and try and use that to craft your name. 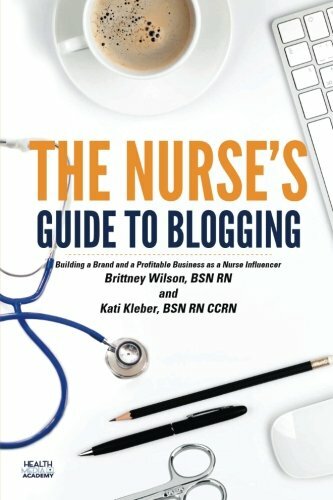 If you’re not sure what your site or brand name should be, check out the chapter in the The Nurse’s Guide to Blogging that focusing on your niche and messaging. So now you have picked your domain name, you need to make sure it is available to purchase and then set up hosting. You can do both of these steps through the same site. For hosting BlueHost is an affordable and reliable choice. They will actually give you a free domain name, so you’ve already knocked out 2 birds with 1 stone. Now you need to check and make sure that the domain name you want is available for purchase. Just enter the name into the box for a New Domain. Now you will have to pick which plan you want to go with. Don’t worry about picking one that will not work, you can always upgrade your plan later if need be. The Basic is usually perfect for anyone just starting out, but because of all the extras, I really like the Plus plan. 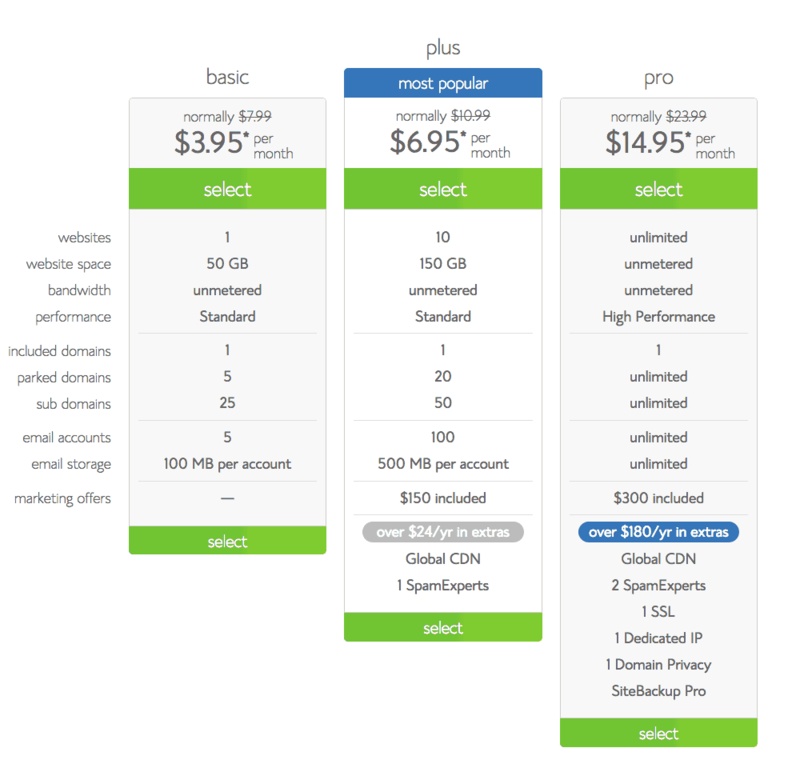 Now you will need to purchase your domain name and have it hosted. Think of hosting like renting space on the web to show your blog. 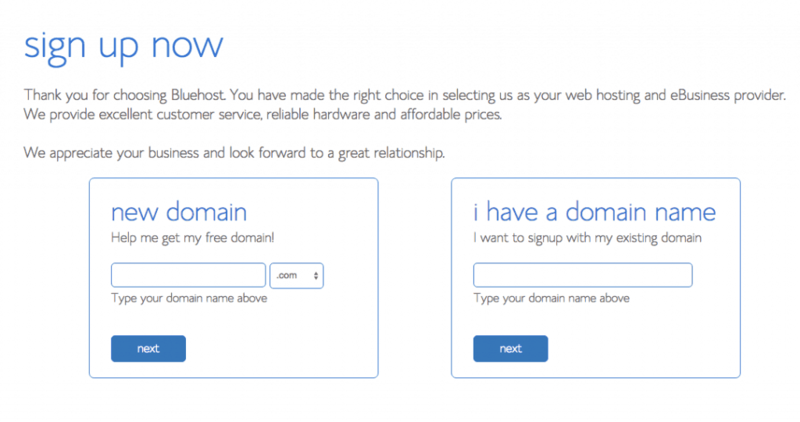 As I mentioned earlier, BlueHost will give you your domain name for free if you decide to host with them. For package information settings you can pick from many different options. The Domain Whois Privacy or Domain Privacy Protection will block your personal address and phone number from being displayed to the public. I would really recommend purchasing the Domain Privacy Protection. I’ve personally had a couple of weirdos find my contact information via whois and call me up. It freaked me out and I made sure to put privacy protection on all my domains after that. Once you have your domain name and have set up hosting, you will need to install WordPress. WordPress is the back end blogging software, or content management system (CMS). The great thing about WordPress is that it is very user-friendly, has loads of customizations, free plugins, it’s super search engine optimization (SEO) friendly, and is the industry standard for blogging. I use WordPress right here at The Nerdy Nurse. Installation could not be easier. After you’ve registered for your account, log into BlueHost. Find the Website Builders section. Click on the WordPress logo. This will open a new page. Click the “Install” button in the “Do it yourself FREE” section. Select the domain you want to install WordPress on. Click the “Check Domain” button. Check the terms and conditions box and then click the Install Now button. WordPress will then install. This could take a few minutes so be patient. Once you get the message that says “Your install is complete” you’ll want to click on View Credentials in the top right corner. Be sure to write down your Admin URL, Username, and Password. You can change these later, but you’ll need them for your first time logging in. Type your Admin URL into your web browser. You’ll see a login screen like the one below. Enter your Username and Password you copied down from the View Credentials step. Congratulations! 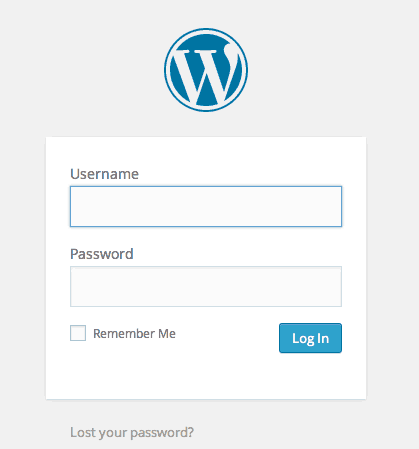 You have officially installed and signed into WordPress. You are now the proud new owner of a brand new nursing blog. Let me be the first to officially welcome you! Now comes the really fun part. You get to come up with the design and layout of your blog. Don’t worry, this is not near as hard as it sounds. Remember when I said WordPress was very user-friendly? It is so easy to customize without knowing any HTML or coding. First up, it is time to pick your theme. WordPress has hundreds of free WordPress themes to pick from. This site uses Divi by Elegant Themes. If you want to build highly-customized landing pages, Divi is great. It’s truly allows anyone to create a beautiful website. Another favorite is the Genesis Framework, by Studio Press, provides highly customizable and SEO optimized WordPress theme that many bloggers swear by. I have been using Genesis themes for years and am thrilled with the results. If you’d like to see an example of a blog ran on Genesis Framework and the Magazine Pro theme, take a look at The Nerdy Nurse. Studio Press also has hundreds of free themes to pick from. They’re who I use, and recommend. A Thesis Theme is another popular theme that many bloggers swear by. And just like that you now have a brand new nursing blog that is ready for you to start posting. 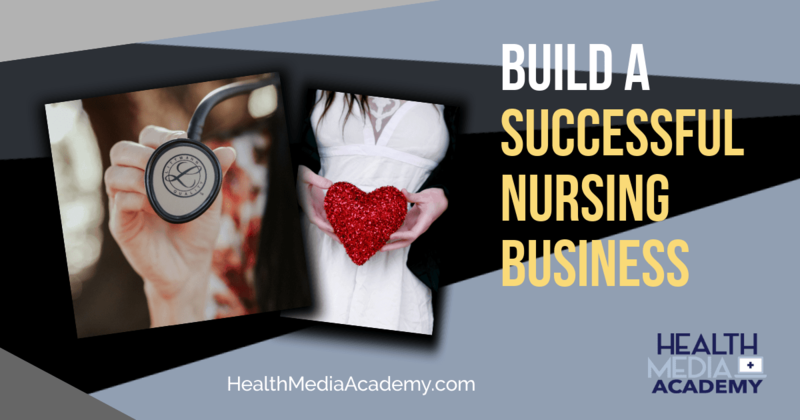 You can get started today writing content that can change the world and shape the nursing industry. Once you’ve gotten your feet wet, or today if you’re feeling like you want to get more tips and tools for blogging, be sure to check out more blogging and digital marketing resources. There’s tons of information for beginner and advanced bloggers including plugins, marketing tools, and other resources that have made my blogging life easier. Now that you’ve got all the steps to set up a nurse blog or website, tell us what you’re going to blog about in the comments below. If you’ve already started a blog, share your blog url with us. Nurses are natural story telling and blogging can be a therapeutic and educational. 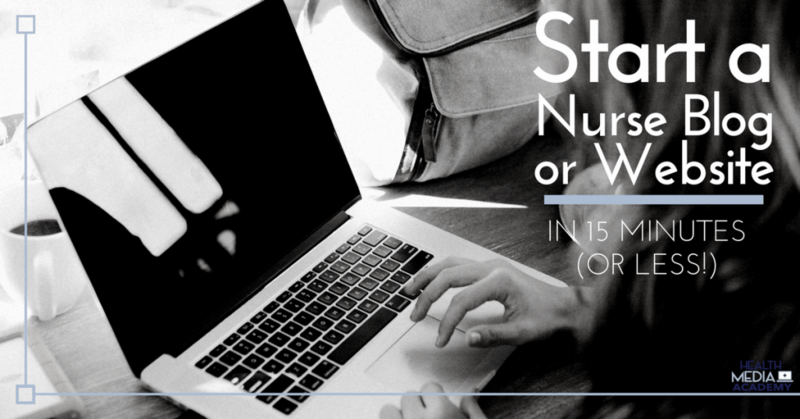 We’re firm advocates that nurses need to learn the business of blogging and that blogging is an important tool useful in the nursing practice. You’ve got no excuses to put off starting a blog now. So, what are you waiting for? Have you already started a blog, but are struggling to get your head wrapped around it? We’ve got a book for that! Get your copy of The Nurse’s Guide to Blogging.